Spring is finally here and here at FRUK it’s out with the old and in with the new. As the days get longer and warmer, it really is the perfect opportunity to refresh your make-up bag with this season’s hottest products. Bid a fond farewell to autumnal berry tones and choose pastel shades for your eyes and lips. Ditch heavy contouring and opt for a subtle pink blush instead. Think dewy skin and soft highlighters. Whatever your beauty vibe we’ve got you covered with our list of the must-haves to buy now. Keep your skin hydrated throughout the day with Becca’s First Light Primer. The perfect base for any make-up routine, this primer gives tired skin a glowing boost to make you feel your absolute beach babe best. 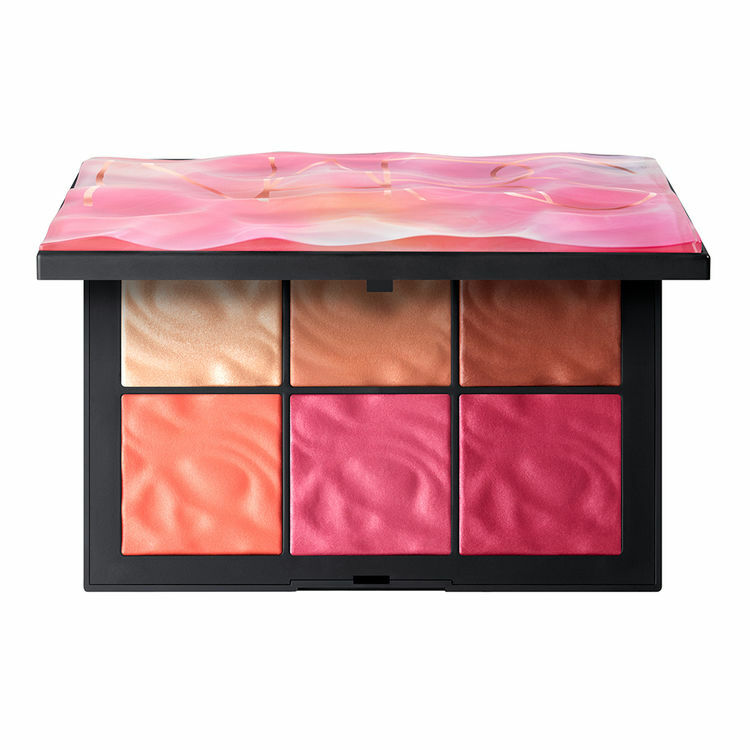 Nars are always on point with their blushers and with six satin shades in one palette their Exposed Cheek is no exception. Sweep on for a natural look or build up colour for more vibrancy. Whatever you do, snap it up quickly- it’s limited edition. Need we say more? Pretty in pastel pink comes in the form of Mac’s Electric Wonder Lipstick collection. Choose from Matte, Satin and Lustre and pop in your bag for ideal day-to-day wear. Our pick from the collection: Feelin’ Sedimental. Our favourite colour in this range has to be Lilac Lights. Put straight onto cheeks and brow bones to achieve that desired shimmer. Add a drop to your primer or foundation to make your flawless base that little more radiant. We love the Shifting Sand version of this 10-coloured eye-shadow palette and the exotic holiday nostalgia it gives us. Choose matte colours for a subtle day look and then amp up the party vibes by layering metallic shades. Perfect to take you into the summer months and beyond.